Oh, how lucky I am that Nessa is my wife. Why? Well, for many reasons. But a signature is that she is able to balance me out and offer a long term perspective. See, patience is not my virtue. No. I need INSTANT RESULTS! 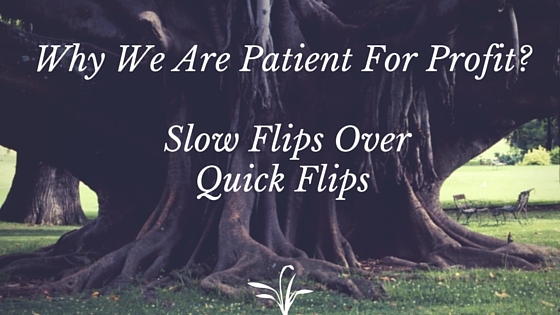 However, if you want to be truly successful in this business you HAVE TO BE PATIENT. If you haven’t already been, you’ll soon be faced with the decisions of pricing your products for a quick flip and smaller profit or a slower flip and bigger profit. And I’m going to tell you why the latter is almost always the best practice. You know what they say, “opposites attract.” And there is no doubt that we sometimes “clash” on our selling philosophies. However, I am quickly moving towards Nessa’s train of thought. You can always lower your price if it’s too high. Profit margins are what we’re in business for. We aren’t strapped for cash, so we can sit on inventory for higher margins. 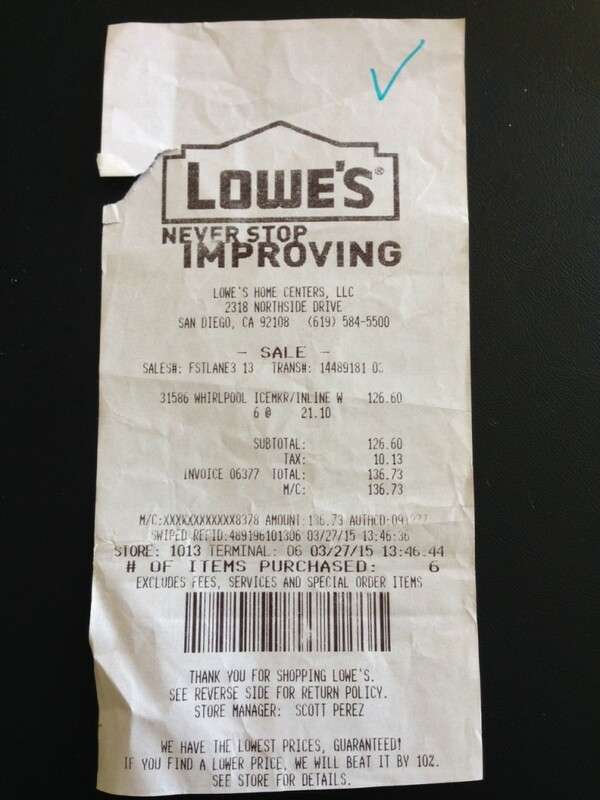 When you buy a product on clearance, it is important to analyze the factors that go into sales price and velocity. Just because someone is selling that product for $64.99 doesn’t mean you should automatically price your product at $64.98 to gain the Buy Box. You’ll be faced with making these decisions every time you list a product, and it’s best that you err on the side of profit margin. So, let me tell you a story about a product that we bought which changed my mind for good. 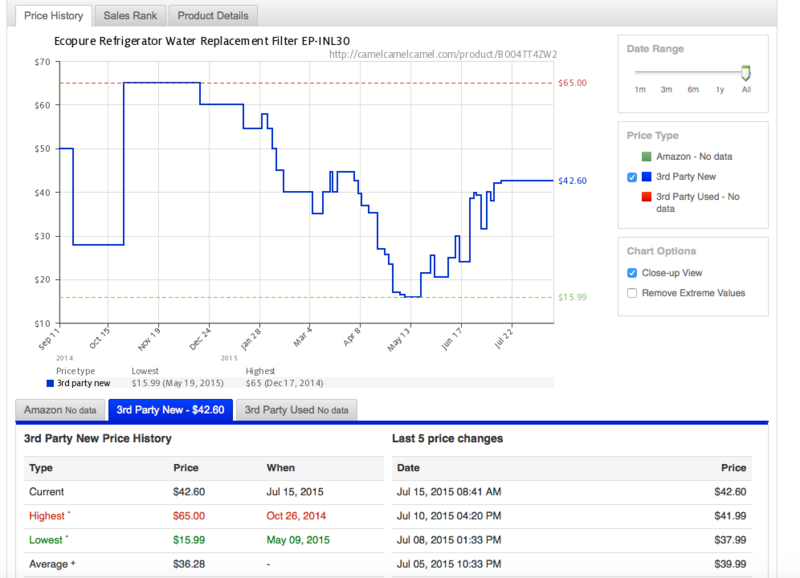 Back in March, we bought this product in the Home Improvement category called the Ecopure Refrigerator Water Replacement Filter. We got it for $21 and planned on selling it for $45, yielding us $12 dollars profit each after FBA fees. After getting our hands on about 21 units, we were pretty content with making $250 profit off of the lot. The marketplace all of a sudden started to FLOOD with sellers. It was like every Retail Arbitrager and their mother got their hands on this deal too. At first it was 5 sellers, and then 10 and then 30. We (I) attempted to play the game of being the lowest price by a penny to get the Buy Box, but soon realized how rapidly our margins were decreasing..
That’s when Nessa and I had a conversation about either making a quick flip and little profit or a slower flip and larger profit. She soon convinced me not to continue to play the game and choose the latter option. Admittedly, I was frustrated that we had this seemingly unprofitable inventory and now we were faced with sitting on it until the price balanced out. But with everyone else choosing the quick flip we stuck with our guns. Between people constantly lowering their prices and repricing tools going rogue, there was just no way that we would keep within our profit guidelines. At the time, we aimed for $10 profit/unit and up, and now our standards are even higher. At one point, the price for this product dropped down to $15!!! That was less than what we bought it for. Knowing that we had a strict bottom line to keep in order, we weren’t willing to play that game with the lowest offer. What we considered in making our pricing decision? The Product: For one, the rank/reviews were killer! This item is under 1000 rank in Appliances and people are buying it like milk. The Competition: While there was a rapid influx of low-ball sellers, we knew that the product was discontinued so there was a scarcity of how much inventory was floating around. And with the type of prices that the competition was setting, mixed with the already high demand of this product, we knew that the competition would run out of stock soon enough. The Profit: Initially we expected to make $12/unit, but by playing the super Slow Flip game we could be the last seller on the market and make $16 a unit. OK, this might take weeks or months but we weren’t in a hurry, especially not to lose money on the deal. So we waited for the profit. At the end of the day we got our $250 profit and then some and we’re stoked. It’s been a great lesson on sticking with your profit margin guidelines and hope you can adopt this type of philosophy too. It will certainly help you grow your business much faster! What’s it going to be then, little or big profits?